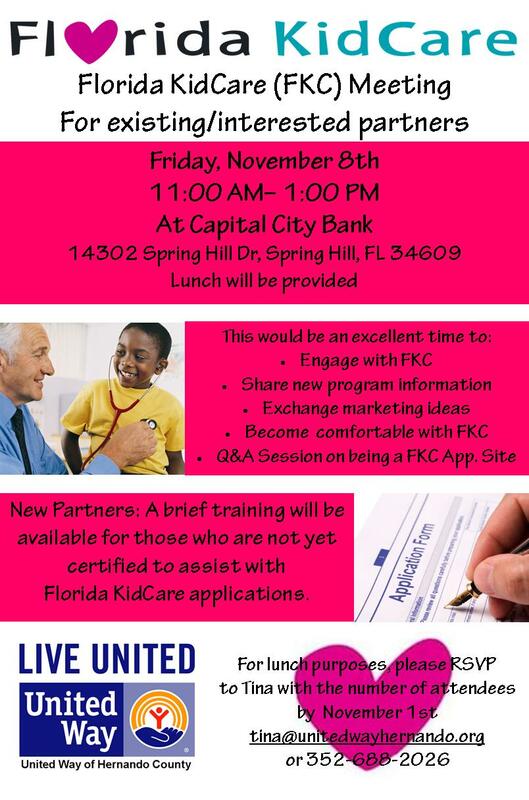 Join United Way's Florida KidCare (FKC) Partners Meeting! Already a FKC partner? Strengthen your FKC outreach strategies and engage with new marketing ideas! Interested in your organization becoming a FKC application site? Become comfortable with the Florida KidCare program and have your staff/volunteers attend a short training to become certified to assist filling out applications!